Rome Georgia Native Shawn Holcomb is committed to the safety of others, which is why he is the perfect addition to the Safety Hero Club. With a Certification in Industrial Electrical Technology from Georgia Northwestern College, Shawn looked to go into the construction space as an electrical expert. However, he felt service calling and became a police officer instead where he accumulated experience and training in all aspects of health and safety. Fast forward some years later and Shawn is now a respected Safety Leader that travels the country helping organizations to better manage their site safety. With experience in virtually every sector including nuclear energy, manufacturing, new construction, demolition and public health, Holcomb is an impactful addition to every team he works with. 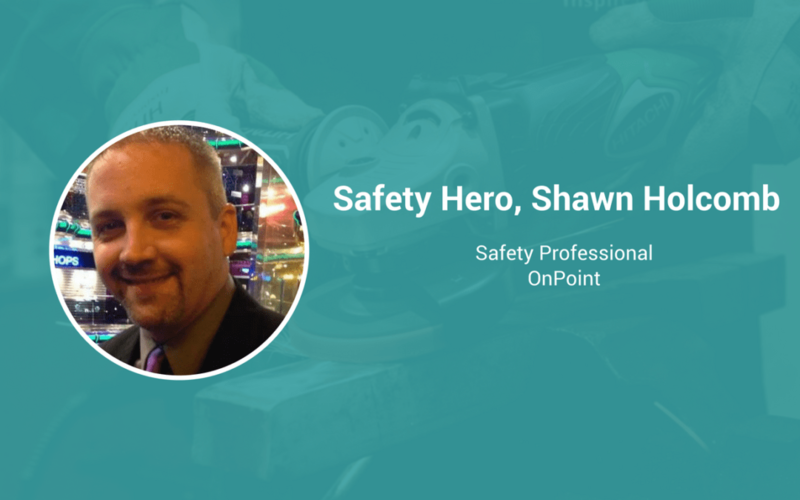 Currently, Shawn serves as a Site Safety Manager for OnPoint Industrial Services. I have a “servant’s heart” where I want to help and serve others. I want to make sure that people are safe and that they go home safely to their families. Safety is the perfect profession to do that. I uphold 3 core values: prayer, planning, and communication. If I have those three, and the backing of project management, then I know a site is ready to succeed. As an accident investigator, I’ve witnessed a number of impactful incidents throughout my career. Most recently during my time in Puerto Rico, another project lost an employee due to an auto accident given the rough condition of the state’s infrastructure. Any time you experience a fatality near your working group, it jars you. It puts things into perspective and re-emphasizes the importance of our role. It’s very stressful and very rewarding at the same time. If you set the safety culture and set the expectation that safety is critical to success, it almost runs itself. Communication – I pride myself on setting the example for my employees. I constantly communicate our expectations to the employees and am always there to listen and provide guidance when necessary. Safety only works if the safety personnel have the backing of project management. Project management needs to prioritize safety as a top-down measure – not bottom up. Most of the clients I’ve worked with understand this, some have not. We are only as impactful as management enables us to be.